After generally avoiding the press since announcing her candidacy, Hillary Clinton granted interviews over the past several days with the Associated Press, Andrea Mitchell of MSNBC News, and with David Muir of ABC News. My previous posts (here and here) noted that Clinton was continuing to be dishonest in these interviews. As has occurred throughout the coverage of this scandal, Factcheck.org, along with other fact check sites, has weighed in to support my criticism of Clinton’s false claims. It is also notable that Factcheck.org quickly dispensed with a statement from a “State Department spokeswoman” who was clearly unfamiliar with the law. Clinton supporters have used this and similar statements from spokesmen who were similarly unfamiliar with the pertinentt laws and regulations to falsely claim that Clinton has been “cleared” by the State Department. It is clear why they take incorrect statements, which hardly clear Clinton of al the violations she committed, and ignore multiple more authoritative sources. The full article also goes into further detail debunking Clinton’s claim about wanting to get her email out her claim and that everyone knew she was using a private email account. It’s a bad sign when your presidential campaign needs a reboot. It’s a worse sign when your advisers announce that reboot publicly. That’s exactly where Hillary Clinton finds herself this week. In an attempt to right what is universally seen as a listing campaign, the Democratic frontrunner is attempting to reassure her supporters, donors, and party—as well as prospective supporters and donors—that she has what it takes to run and win a race. But so far, the hamfisted execution of that reboot suggests that she hasn’t learned enough from the debacle of her 2008 campaign, and it’s hard to imagine that events of the last two days will do much to reassure major donors and party leaders. But it doesn’t matter how many times James Carville goes on TV to mock the press or warn his fellow Democrats against overreacting to Clinton’s troubles: His fellow Democrats are already alarmed—and her reboot, rather than assuaging their fears, may be making the problem worse. Posted in Hillary Clinton, Politics, Scandals. Tags: Hillary Clinton, Scandals. RSS feed for comments on this post.. TrackBack URL. "Hillary Clinton’s personal lawyer has told a senate committee that emails and all other data stored on the Democratic presidential hopeful’s private server were erased before it was turned over to US government authorities." She thus did not turn over the data that was on the server, other than the emails she and her lawyers chose to print and disclose. Unless there are copies on backups somewhere, there is no way to verify that she turned over all of the emails relevant to US policy issues. 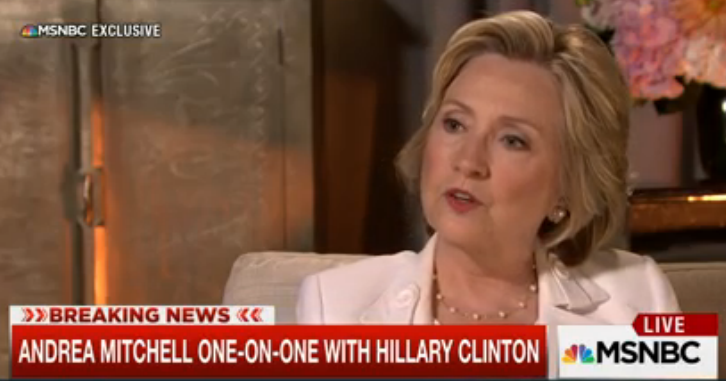 She has never explained publicly why her server was completely erased before turning it over. And recently her top information technology aide announced that he will execute his right to remain silent under the 5th Amendment. What is he hiding? What was she hiding? This is not the sort of behavior we expect and deserve from a Cabinet officer and aspiring US President. The erasing of all data on her server before she turned it over to government authorities should be a concern of everyone who places trust in her. She did not conduct government business on a government server, she didn't turn it over intact to the State Department when she left office, she withheld it for many months, then she and her lawyer screened the emails they would print out to disclose and erased the rest. That smacks of trying to hide something important, not just which kind of pizza she ordered. It brings to mind the Reagan Iran-Contra arms for hostages matter, where the government investigation was impeded by the deliberate destruction of documents by Reagan administration officials. The larger question – why did Secretary fee the need for a private sever in the first place, and as someone has noted, what was on the 30,000 emails deleted ? Even the Clintons can't claim they needed 30,000 emails to plan a wedding. The Clinton Initiative comes to mind.